Released in fall 2013, Ragnarok Odyssey ACE is an upgraded version of the original Ragnarok Odyssey. Like any upgrade, this title featured all new areas and bosses for the player to conquer. Kumi Tanioka, most famous for her work on the Final Fantasy Crystal Chronicles series, returned to score these additions, with the added help of Keigo Ozaki and the legendary Nobuo Uematsu, who each contributed one track. 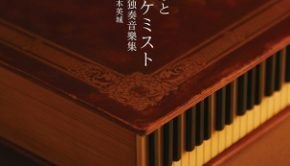 Can the trio of composers manage to match the work created by Tanioka in her previous album for this series? 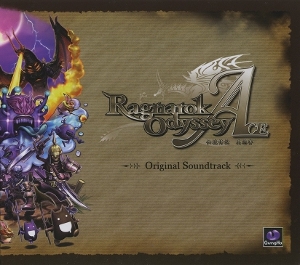 The soundtrack opens with “Ace of Aces,” a track that, somewhat expectantly, arranges the main theme of Ragnarok Odyssey as developed in the first album. The arrangement is solid; recognizable in its instrumentation, yet distinct, with a bit of a hurried tone thanks to its beat. In contrast, “This Journey, an Endless Road” is an entirely new theme, composed as a march. While not particularly impressive, the piece is again well put together and accurately conveys the concept of an epilogue adventure, to accompany the original. On the other hand, “Yggdrasil’s Embrace” is one of the better melodies that Tanioka has composed recently. It’s a simple, soft piece, yet it’s put together exceptionally well, thanks mainly to its emotional flute. Though the instruments are sampled here, as with the rest of the soundtrack, they’re implemented well and are often evocative. A good number of tracks are only slight variations of each other. Certainly, these make sense in the context of the game, presumably for similar floors of the same dungeon. But listening to them virtually one after the other, considering their relative lack of differentiation, is a bit trying. The first three are “Tower of Yggdrasil,” “The Depth of a Dark Love,” and “Howl of the Hermit.” Of these, the first two utilize a bit more of a natural sound, whereas the third sounds more electronic. They all, however, contain the same development and melody, which itself is decent, lending well to the mysterious aspect of dungeon crawling and exploration. The next group is comprised of “Requiem for Vanr,” “Distortion of the Abyss,” and “Ygg Ex Machina.” This also sounds like a mysterious, exploratory dungeon theme, but as a whole it is less interesting than the preceding, notable mainly for its consistent staccato choir, which itself starts to get a bit wearing after three tracks featuring it. The last two tracks of this nature are “Twilight Edda” and “Weaving the Wind in the Trees.” This melody is more developed than the last, and more organic and typical of Tanioka (in a good way) than either. This is easily the best of these repetitive dungeon tracks. It develops quite well over its substantial length, and conveys a subtle, mysterious atmosphere well. Moving to the battle themes, “Beast in the Stone Box” is a boss theme composed in the style of Tanioka’s previous for Ragnarok Odyssey. It’s serviceable, but not particularly notable compared to the better boss themes from the previous album. “Dark Veil of Niflheim” prominently features a church organ, as well as a synth that lends the track a bit of a 1960s spooky vibe. It’s well put together, and is likely the most unique Tanioka piece on the album, and serves a surprising (but not unwelcome) departure from her style and that of the soundtrack. “Thiazi the Corpse” is the only piece on the album composed by Game Arts’ sound director Keigo Ozaki. I am unfamiliar with this composer, personally, but on the basis of this piece alone I definitely would be more than interested in hearing more. This boss track is fast paced and tense, with an exciting melody that doesn’t let up for its substantial runtime. A harpsichord is used intelligently to add to the tension, and chord changes keep the song fresh. 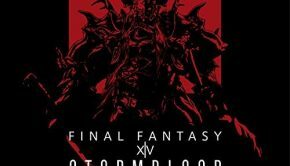 As for Nobuo Uematsu’s contribution, “Roar of the Black Dragon” is the final boss theme for this expansion. 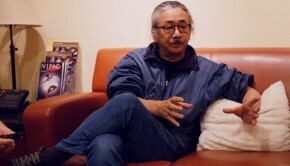 It’s typical Uematsu, heavy with synth and electric guitar, featuring a catchy, iconic melody (which, interestingly enough, was heard briefly in the album’s first track). This is certainly not the composer’s best final battle track, nor is it particularly unique, but it’s still very much enjoyable, and it serves as a welcome and familiar addition for any fan of his work. The ending track, “The Great Dawn is Coming,” is a return to Tanioka’s organic style, sounding quite like celebratory pieces in Crystal Chronicles. It’s really quite an enjoyable little folksy piece, soon developing into a slower arrangement of the earlier “This Journey, an Endless Road,” and finally closing with the game’s main theme. 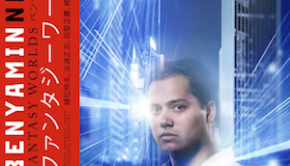 The album closes with four piano arrangements, featuring melodies culled from both of the game’s albums. These arrangements are a rather nice addition, and do well to lengthen the album. Tanioka is, bit by bit, proving her worth as a pianist and arranger, and a solo piano album by her would be most welcome. This album is certainly inferior to its preceding. This is due mainly to its nature: as a compilation of tracks for an upgraded version of the game, it doesn’t feel as ‘complete.’ The pieces that contain the same melodies are themselves somewhat uninteresting, and their repetition can become a bit grating. That said, there are plenty of enjoyable pieces in the album. This soundtrack would have been better served if the original was delayed, and both were released as one fantastic two disc album. On its own, however, this one would be best recommended to only the most ardent Tanioka fans, as they will find enough to love here. To anyone else, this soundtrack will be enjoyable, but the first is certainly the wiser purchase. This particular soundtrack comes enclosed with the North American version of the game and can only be purchased stand-alone as a second-hand album. Posted on July 26, 2014 by Marc Friedman. Last modified on July 26, 2014.